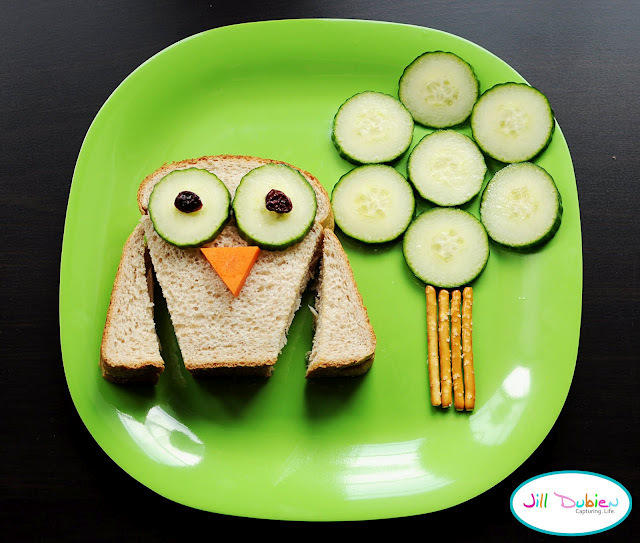 It's Monday, and time for this week's Pinterest round-up! This time I've picked out things for babies, toddlers and kids. Follow my Pinterest boards here. 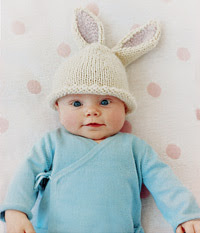 A super cute baby bunny beanie! And the best part - the pattern is free and found here. The pattern is for 3-6 month olds, but can surely be adjusted to fit other sizes. A quick knit for Easter perhaps? From Meet the Dubiens, via justb. I'm not sure if this gets kids to eat their meals more easily, but it sure looks fun! 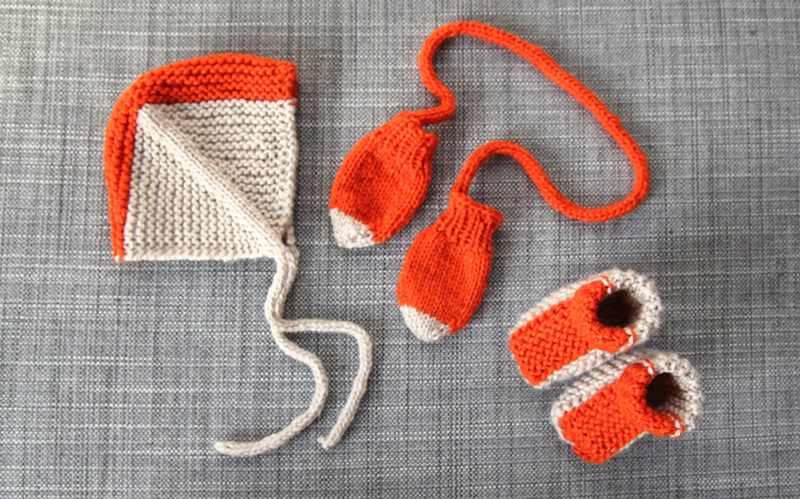 I like to make sets of several items for babies, and this looks like a quick and cozy knit. Free pattern is found here. 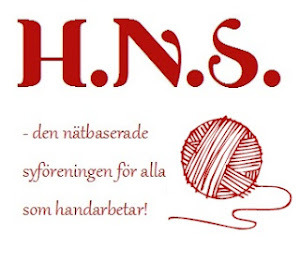 I've just discovered Pickles, and it's a fabulous Norwegian blog (in Norwegian and English) about crafting, knitting, sewing, and much more. I'll surely return to their site in the future. Ever wanted to turn a glove into a chipmunk? The Meta Picture shows you how! Have your kids super scary monsters under their beds every now and then? I know, the monsters are difficult to get rid of, and can be quite sleep-depriving. Enter the monster spray! The problem will be gone in seconds! 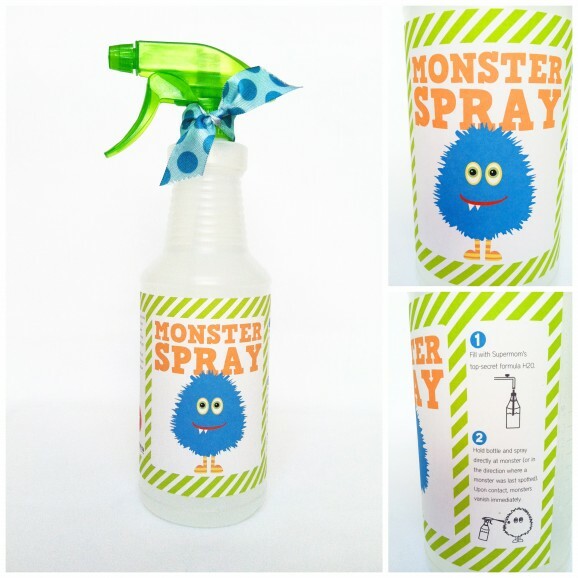 Download the free ingenious monster spray labels here. Summary in Swedish: Här är fem saker från mina Pinterest-boards, den här veckan har jag valt ut saker för bebisar och barn. Följ mig på Pinterest här.